"A ceasefire without reaching an agreement is rejected," Hamas spokesman says of Egypt's proposal. Hamas rejected Egypt’s proposed ceasefire in Gaza on Monday night, as Arab foreign ministers in Cairo called on "all parties" to accept the proposal. Hamas spokesman Fawzi Barhoum said the group would not accept a truce without a fully-fledged deal to end hostilities, according to AFP. "A ceasefire without reaching an agreement is rejected. In times of war, you don't cease fire and then negotiate," he told the news agency. Barhoum added Hamas had not received any official proposal and that "the weapons of the resistance are a red line." Meanwhile, the Arab foreign ministers said in a statement they "demand all parties concerned accept the Egyptian initiative" and commit to its terms. The Cabinet is to vote about the Egyptian proposal early Tuesday morning, and diplomatic officials said that the proposal would return the situation on the ground to the state it was before Operation Protective Edge, but with a Hamas that is much weaker than before. Minister Ariel stressed that the ceasefire would endanger Israeli citizens. 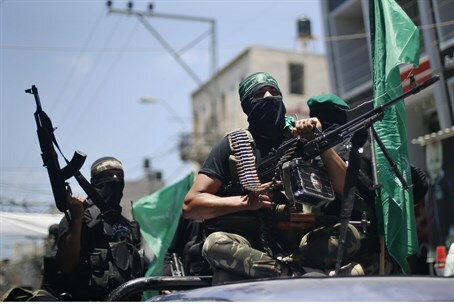 "It won’t be long before Hamas will grow stronger, smuggle more elaborate rockets and open fire again,” he warned.